We are smack dab in the middle of the winter cold and flu season, and we have definitely seen an increase in the illnesses we are seeing in Montgomery County and as a result an influx of sick children coming into our office. When your child shows the first signs of an illness or you are worried about something in regards to their health, often one of the first people you come into contact with from Potomac Pediatrics is our triage nurses. Our triage nurse team is a fabulous group of women who’s job is to pick up the phone and help with any of your concerns, advise you whether or not your child needs to be seen, and to help you to schedule an appointment. Did you know we have at least 2 dedicated nurses each day answering phone calls of our parents all day and until 7pm M-Th, til 5pm Friday and Saturday until 12pm? With the increased amount of illness including the flu our nurse advice line can be very busy. Our busiest times are Mondays, the days after holidays, and the hours right after we open and right before we close. We make every attempt to answer your phone call in real time, but with the amount of calls we have been receiving over the past few weeks when you call you may first get our voice message. Don’t fret- we will always call you back, but based on our call volume sometimes it may take us a small amount of time to do so. In order to make your phone call as efficient and informative to us as possible, and to help streamline the process of us answering your questions, getting back to you, and scheduling you the correct appointment, we’ve compiled a list of helpful tips and tricks for using our triage nurses efficiently and to make your phone call as complete as possible. Start with your child’s full name and date of birth. We need to pull up your child’s information before we can start listening to your concerns or start giving advice, so that we have their past medical history in front of us. Make sure you are with your child. 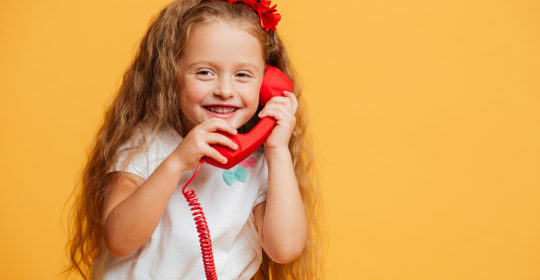 When a parent calls and you are reporting what you have heard secondhand because they are at home without you, or are at school or daycare, it’s hard to help because we won’t have the most current information. Pick your child up and then call us! Give the most important information first. If you child has fever – give us the number of days of fever, the maximum temperature and how you took the temperature. If you’re worried that your child is wheezing or having trouble breathing, please let us know early on in the conversation. Find a quiet place to talk. If we are on the phone with you and your baby is crying in your arms it may be very hard to hear you. Please find a safe place for your child to rest so we can talk. Briefly summarize the symptoms and what you have done to help them such as medications or other supportive measures you have used. Check to ensure that your voicemail box is set up not full in case you miss our call back- giving you advice or getting in touch with you is hard if we can’t leave a message. In addition to the wealth of knowledge and advice our wonderful triage nurses can offer you, our website and blog contains a multitude of illness specific advice. Visit our blog for illness specific advice if you have questions about influenza, the common cold, ear infections, eczema, bronchiolitis, hand foot and mouth, pink eye and many more!